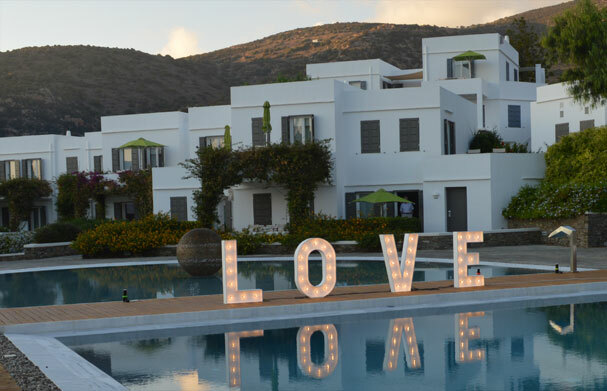 On the beautiful Cycladic island of Sifnos, in recent years, the number of wedding receptions and the demands for high standard services are constantly increasing. Wedding dj Service has been well into the first line of services that brides and grooms to be are paying so much attention...... 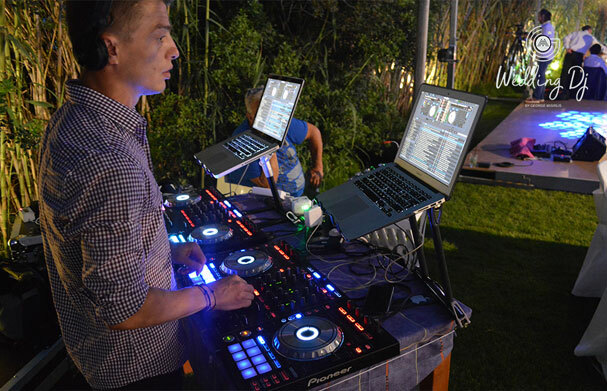 It is fully understood that a wedding dj that offers sufficient…. services will not be able to meet the expectations of a demanding wedding party... and much more a destination wedding that does not remind the traditional indoor wedding reception. Wedding dj co. by George Missirlis consistent with providing high-quality services with experienced disc jockeys and guided by its owner Giorgio Missirlis, (electronic engineer) wedding and club dj for many years in Athens nightlife, provides complete wedding packages and solutions to transform your wedding night in Sifnos, in an audiovisual production that all your guests will remember for many years. Are you Getting married in Sifnos??? 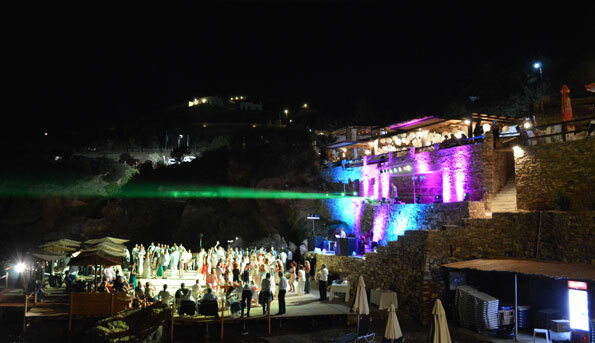 We cooperate with the top wedding reception venues in Sifnos. Every wedding reception area in Sifnos has its own beauty and you can hardly separate it from the rest. 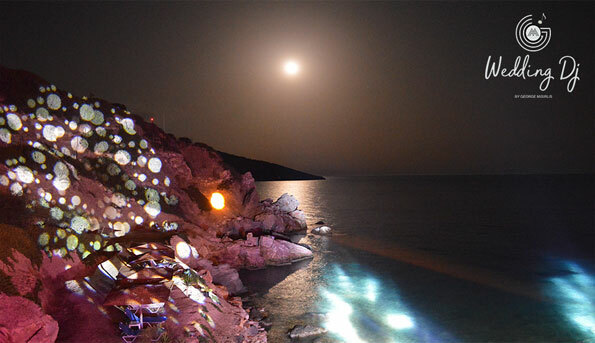 Undoubtedly Lazarou beach is one of the main choices for a wedding reception in Sifnos. With main advantage, its geographic position enables the couples to make their Wedding on the wave, while the wedding party will last until morning and the decibel strikes loudly without any time limitation.Choose to make your Wedding at the "Famous" Panagia Chrysopigi or in any of the other beautiful churches in Sifnos and then choose one of the two or both beautiful VENUES of Lazarou Beach to make the Reception and the party of Your Wedding. You can use the restaurant area for your reception and then go to the Marine deck for your Wedding Party or if you have few guests you can use the restaurant space for your party enjoying the magnificent View from above of the Cycladic sea. The same scenario can be done in the Deck Marine area where our wedding dj in Sifnow will illuminate with a very beautiful traditional Garland to bring your island's climate to your guests. For weddings with more than 100-120 guests, choose the restaurant area for the reception and the Deck space for your party. All your guests will enjoy the wonderful View from the restaurant's balcony and then live the ultimate destination wedding party a breath away from the sea. Our company with great experience in sound and lighting coverage in this very special place will give you the best, the most cost-effective and the most economical solutions for your wedding to have the style you want and stay in the minds and hearts of all ....... Check out the list of all our services and let’s plan together a tailor made package of services matching your requirements or trust us and choose one of the ready made packages we made for you to meet your full range of needs, depending on the budget you have available. A Marriage at ELIES resort combines the delight of a five-star hotel with the beauty and simplicity of island Greece. Elies resort, one of the most beautiful Mediterranean hotels, is located in a magnificent bay in Vathi, Sifnos. With its luxurious rooms, with its unique swimming pool, excellent customer service and direct access to the sandy beach, will give to you and your guests a unique WEDDING NIGHT PARTY. Wedding dj by George Missirlis having made the majority of the banquets in recent years at this hotel, promises you in partnership with the wedding planners to decorate and transform the hotel with the most sophisticated lighting solutions in a heavenly place. 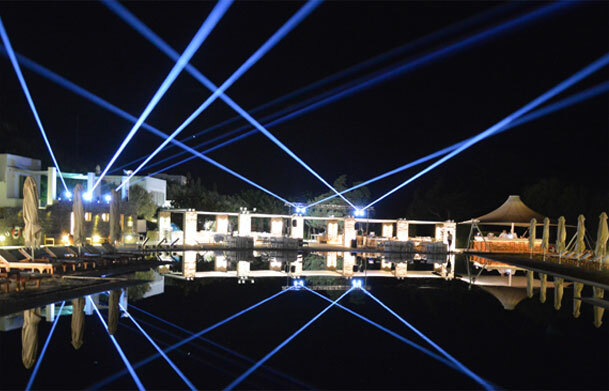 Illuminated letters will reflect in the waters of the pool of Elies resort while the fireworks corridor along the pool will make your entrance to the reception area unique and unforgettable. Our Wedding Dj with the most up-to-date marriage music playlist and with its excellent technical training will take off your party while our Light jockey will switch the lighting depending on the kind of music and in combination with the decorative lighting will encourage your guests to be be on the dance floor for all night. In such a unique place where the reception is Luxury from the moment you close the date up to the last verse of the last song, you deserve nothing less than perfection. The wedding dj by George Missirlis and her colleagues is the only professional team that perform in Sifnos such an event ... .. Your own unique event. !!!!!! Here's the list of Wedding Services we provide at Elies Resort. Cape Napos is the clearest way to explain to someone that the beauty of a Cycladic island is NOT found exclusively on beaches ...... Built on the hills of Akrotiri - Faros in Sifnos and overlooking the Aegean Sea to Antiparos, it will be a great attraction whether you are going to have a wedding reception or even if you just want to spend a few days relaxing while enjoying your cocktail in the beautiful pool with view of the endless Blue. It is no coincidence that our site's graphic designer chose this incredible view of the slide show on our homepage. The wedding dj by George Missirlis having performed a series of events at this wonderful reception venue in Sifnos guarantees that it will make your Wedding Evening look like an endless party from which everyone will be happy .... both the guests they like traditional island music as well as younger friends of the couple who prefer foreign and Greek mainstream music. Check out our wedding music lists here: https://www.dj-wedding.gr/μουσική-γάμου/ Let’s plan design together the appropriate lighting to create a magical atmosphere in the surrounding area while lighting on the dance floor the will excite your guests and lead them along with the top dj wedding we will have for you at the most frantic wedding party. 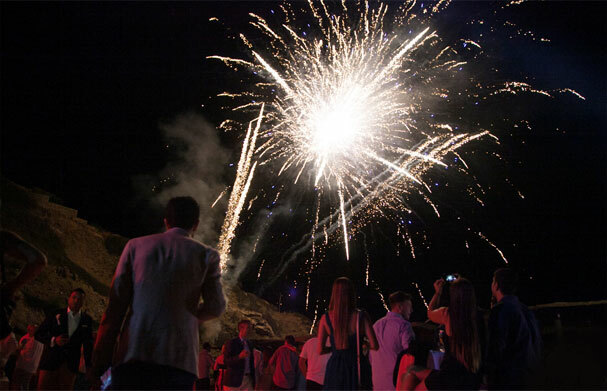 We can provide you Fountain fireworks to create the most impressive entrance to the reception area and let all mobile phones flash come down on you ....... Take a look at all our services here: See here Video from our work at Cape Napos: https://www.youtube.com/watch?v=T7iGCivTa5w&feature=youtu.be Check out our ready-made packages.